Who doesn’t love a pellet gun, right? We like these guns because they’re eco friendly, a good survival tool, plus they work on air – what could be better? Well, finding the best pellet gun scope, of course. We want to help you in that regard with the best information and products available. That’s why we’ll start you off with some tips and advice regarding the characteristics of a good scope. Then we’ll take you through a series of top rated items we’ve reviewed respectively to these characteristics. There are many issues to take into account at this point, most of which are summarized in the table above. We’ll explain all of these so you in order to help you make an informed purchase decision after comparing and contrasting the official specs of different products. The first dimension you’ll see is the lens magnification. Generally speaking, 2-7x is considered good for short distances. 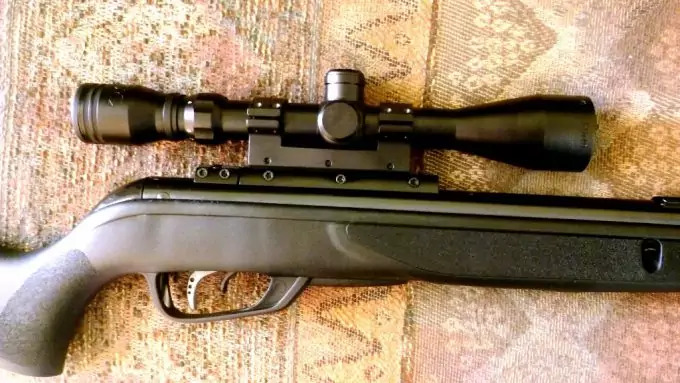 That’s also the case with airguns, but a 12x magnification that would work for medium range with other rifles and guns is considered to be in the long distance range for airguns. That’s because these airguns can only shoot small critters and don’t work very far. The second dimension is the lens diameter which tells you if enough light can pass through the lens for optimal vision in reduced light. A 32 mm diameter should do the trick if you’re out hunting at dusk or dawn. The most basic type of reticle is the duplex cross-haired reticle. This one gives fairly accurate aiming points but sometimes it’s hard to use it further away. Considering we’re talking about pellet guns, though, this could still be a good choice for a smaller budget. Better scopes come with illuminated MilDot reticles that have both red and green lights for night time and day time use. Some even have very wide color spectrum and different brightness settings so you’re sure to have a crisp image in different environments. A good coating is a feature you need for minimal image blur. A quality emerald coating or another type of fully multicoated lens can also enhance light transmission to almost 90%. That’s a definite plus especially if the lens diameter isn’t that big. On the other hand, a fully coated scope can be a good, budget friendly option, especially for beginners. It’s always nice to see that a brand cares enough about its customers to include the needed mounting hardware. Depending on its design a scope might require mounting rings, screws and a built in stop pin. Just make sure the included items are qualitative enough. Some mounting rings might not be as secure or might not even compensate for the barrel drop. At this point, you’ll see scopes with finger adjustable W/E or click adjustable W/E. Personally, we like the second option best because we feel is more precise. But other people, maybe even you, might like the first option as it gives you a better feel of the scope. We like all glass optics seeing as they render a brighter image. An aluminum construction is also our top choice for the tube because this material is both sturdy and lightweight. The nitrogen filled and 100% sealed design ensures consistent proofing against water and rain. We love scopes that are shockproof for minimal recoil, as well as dust proof to ensure a long lifespan. 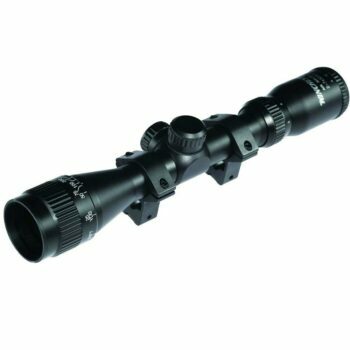 That said, let’s review six of the top notch scopes available and see if you can find one that fits your taste and available budget. After reading the above characteristics, we trust the specific features section to be an easy read. We’ve also explained these features at length and summarized the advantages and disadvantages in a pros/cons list. The Winchester by Daisy AO Scope is a good scope when it comes to brush hunting because its magnification range is on the small side. With just 2-7x, you can’t see really far away, so it’s not a good scope for target shooting. The 32 mm diameter also performs better in daylight, but it works in faint light too, at a close distance. We love that the objective is adjustable, just like the windage and elevation. That will allow you to take precise shots, and this scope guarantees unparalleled accuracy. The cross hair reticle adds to this promise of precision, and you can use this scope with any 3/8 dovetail mount. The quality of the Winchester scope is something we’ve noticed from its construction. It’s color corrected for clear images, it’s shockproof so you won’t feel any recoil, as well as fog proof. The only problem is that there aren’t any lens caps, so it’s not dustproof. And if you buy the lens covers, plus some scope mounts to fit the scope to its provided rail, the price goes up quite a few notches. 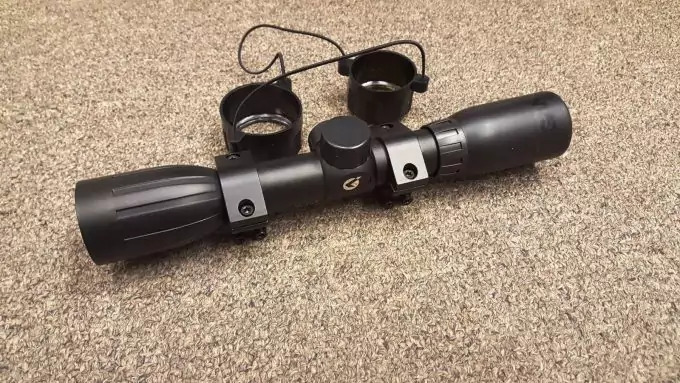 So you can be better off buying a more expensive scope from the get go, with a bigger magnification, maybe even a Mil-dot reticle for night vision. Related: We recommend these Crosman Destroyer Pellets for your gun. They’re synthetic and fit a 0.177 caliber gun. In this inexpensive package, you’ll find 250 pointed pellets that weigh 7.9 grains and have dashed rims. They’re among the best ones for hunting seeing as they’re hollow point makes them expand completely. That will get you the maximum energy transfer and speed, as well as hit force on impact, for fast, deadly shots. The UTG BugBuster Scope has a bigger upper range for the magnification, getting you in the 3-9x range. That means you can use this scope at short-medium distances, not just for brush hunting. Regardless, the diameter is just 32 mm here too, with the same issues for dim light. However, since this scope has an emerald coating, the light transmission is considerably increased. And that counteracts the negative effects of a smaller diameter, rendering this scope accurate in low lighting too. And what’s more, there’s a mil dot reticle with both red and green lights. That means you can use this scope during the daytime, as well as nighttime, and your shooting performance will be drastically increased. We like it how easy it is to aim with this scope, thanks to the reticle as well as the objective that’s adjustable from 3 yards to infinity. You’ll get windage and elevation adjustments here too, with turrets that are set at ¼ MOA. These are lockable and resettable, and they hold the zero so you don’t have to fire additional shots. And just like the Winchester scope, this one is also shockproof and fog proof courtesy of a sealed and nitrogen filled construction. But unlike the Winchester scope, this one has a ton of included extras, like the mounting rings that are easy to detach, a 2 inch sunshade and lens caps that have a flip to open design. We’re also crazy about the large field of view, but not so much about the eye relief. That, coupled with the scope being so small, you constantly have to lean forward in order to take accurate shots, which isn’t that comfortable. Related: We love the CVLIFE Tactical Rifle Bipod to help you with better shooting. If your hands get tired from all the standing and holding your gun and scope, this bipod will help you with a secure fit and firm stand. The legs are adjustable from 6 to 9 inches, and you get 5 different settings for each leg. You can easily set up or take down your rifle, and the steel & aluminum construction is both durable and light. 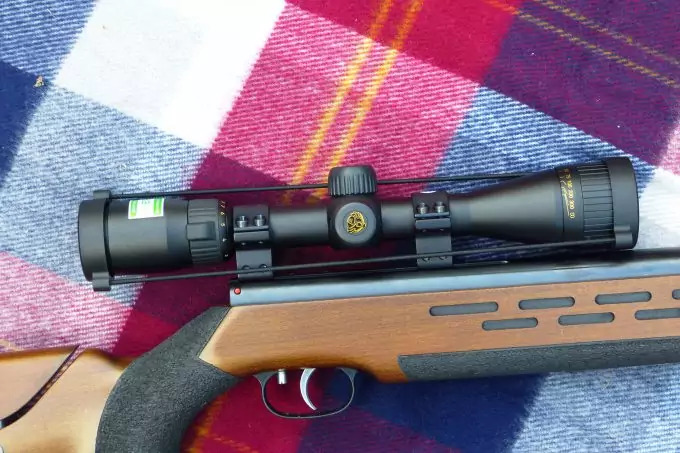 The Hammers Air Rifle Scope is a reliable scope that works with magnum air rifles. The bad news is that it isn’t an extremely versatile gadget, so it won’t work with other guns. 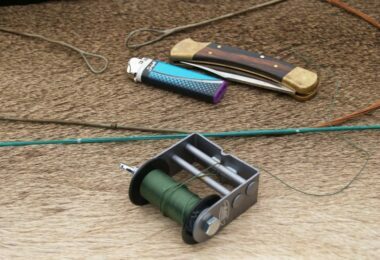 That said, the dimensions are just the same as the UTG BugBuster Scope, 3-9 x 32 mm, rendering it good for medium range hunting. 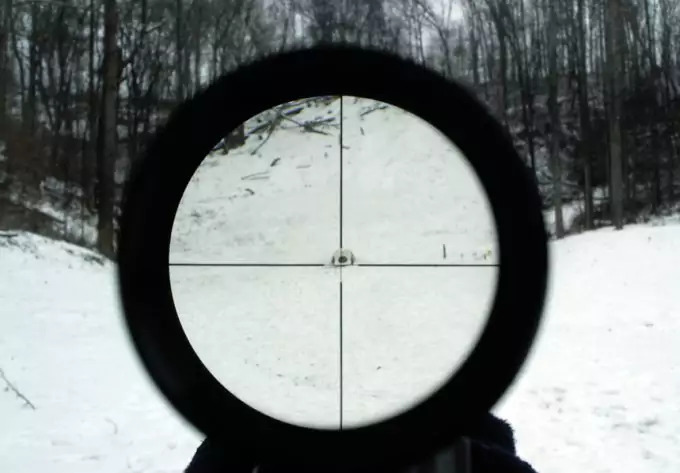 The reticle is MilDot too, and we like that you can use it regardless the rough conditions. That’s because it’s has a one piece mount, with the help of a stop pin that’s built in, but can also be removed. You also need 3 clamping screws which you’ll find in the package, and which have the purpose of securing the scope really well against all shocks and recoils. Plus, it can withstand recoils so well because it’s been internally reinforced against the shocks produced by the piston of air rifles. But this internal reinforcement doesn’t make it immune to shocks produced by other kinds of rifles, which might destroy it. The anodized black matte finish is another plus in terms of scratches. We like the adjustable objective that reduces the parallax, but the windage and elevation are finger adjustable. That might make them a bit tricky to set up, and it doesn’t hold the zero so well. Not to mention the knobs can easily fall off. Related: We recommend this Pellet Pen which can hold 20 pellets of the .177 caliber. We like how comfortable and easy to use this thing is, plus it’s really user friendly in terms of portability. You can even use it with your gloves on, and it only weighs 2.4 ounces. The UTG Mil Dot Scope is an improvement from the other UTG scope we’ve already talked about here. For one, it has a bigger range of magnification between 3-12x, which makes it easy to use both up close and further away. The corresponding field of view is pretty wide, between 8.4 to 34 inches at 100 yards. The 40mm diameter for the lens is another plus, accounting for increased light transmission and therefore better low light vision. We also love the Emerald multi-coating that adds to this light transmission and helps render a crisp image. The adjustable objective decreases the parallax, but it can only be set from 10 yards upwards. The nitrogen-filled and 100% sealed design is another plus, seeing as this UTG scope is resistant to rain, recoils, and fog. The eye relief is pretty generous at 72 – 84 mm, and we love the exact windage and elevation adjustments thanks to its Smart Spherical Structure with ¼ MOA per click. That will help you hold the zero really well, but the scope itself is on the heavy side. And don’t forget the Illumination Enhancing reticle that allows you to shoot in different environments. Although thick, you’ll get a personalized illumination thanks to its 36 colors spectrum, as well as a red/green light for seven brightness levels. Plus, the included extras feature Picatinny/Weaver mounting rings, lens caps that are flip-open and a sunshade. Related: Although you’ll get mounting rings included, we recommend these UTG Picatinny QD Rings too. They are 22 mm wide and made from machined aircraft grade aluminum. That;s why we’re sure they’re sturdy and qualitative. But they’re also user friendly because they’re easy to detach, lock and can be set on every Picatinny rail. 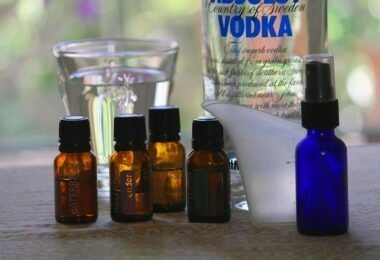 Plus, they’ve been field tested and have recommendations from law enforcement and field experts. The CVLIFE Tactical Scope is another inexpensive scope. 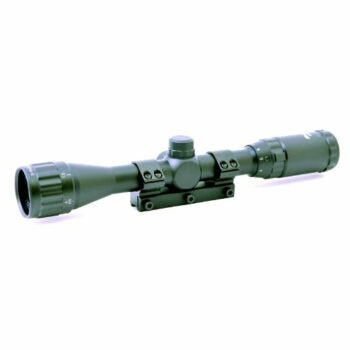 However, it provides a magnification range of 3-9x, which is just what you need for small to medium range shooting. The 40 mm diameter is a plus when it comes to faint light shooting because it allows for increased light transmission. The fully multicoating applied on the lens are also responsible for 90% light transmission and a clear, bright rendered image. 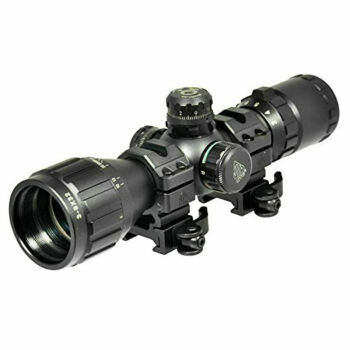 And even if the glass is fully multicoated, while the exterior lens has a layer of scratch resistant coating of their own, the overall weight of this scope is on the light side. Plus, the tube is made from strong, light machined aluminum, and the nitrogen filling makes it rain and fog proof. We love the construction of this scope, which accounts for good communication between the inner and the outer structures. That means the reticle won’t spin when you’re adjusting it. Plus, you’ll get a scope that allows easy to fix windage and elevation, and that’s fairly resistant to shocks. This scope comes with its own lens covers, Allen key, and mounts. However, the R4 cross-hair reticle isn’t the best on the market, seeing as the middle line is too small for proper centering on bulls eyes. Also, the image is blurry at a full zoom, and the eye relief is too small for a comfortable use. 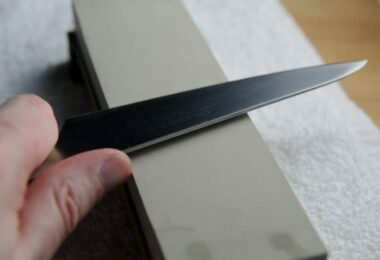 Related: If you need additional mounting rings, we recommend these NcStar Ring Dovetail Medium. They’re 1-inch rings that fit 3/8 inches dovetailed rifles, and they’re a medium height. They’re made from anodized aluminum, and we like their slotted thumb nut for a quick setup. The Hammers Magnum Spring Scope is a good scope for a short-medium range shooting outdoors and indoors. 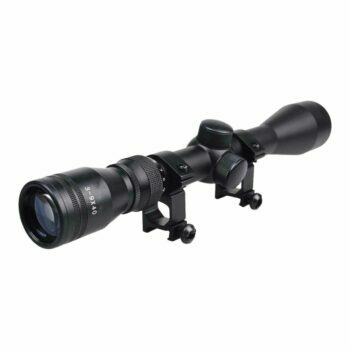 It has a 3-9x magnification and a 40 mm diameter lens that works well in dim light. Plus, the MilDot reticle makes it easy for you to see well even at nighttime. 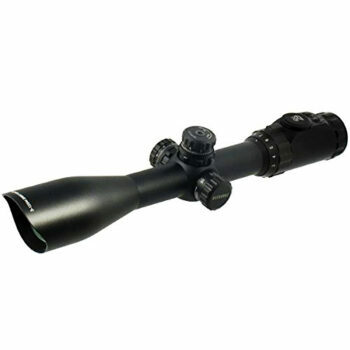 This scope can fit onto 3/8 inches dovetailed rifles, with a mount center height of 35mm. The adjustable objective works well, and it reduces parallax considerably. The windage and elevation are finger adjustable, just like in the case of Hammers Air Rifle Scope. We’re not that crazy about this system though, as the knobs can easily fall out with repeated use. We love that you can focus it even at 5 yards, and the eye relief is between 65 – 90 mm. The field of view is ok-ish, in the range of 12.6 – 34.6 feet at 100 yards. But by far its strong point is the internal reinforcement that withstands any recoil and shocks from a piston type air rifle. And just like the other Hammers scope, this one has a one piece mount with the help of 3 clamping screws you’ll find in the package, and a stop pin that’s built in, but can be taken off too. However, the included mounting rings don’t compensate for barrel droop at all. The set of screws is somewhat inclined, so the whole system looks a tad flimsy. Related: We recommend these Crosman Domed Premier Pellets for your gun. They’re made for a .22 caliber gun, and this set includes 500 pellets of 14.3 grains each. We like these pellets because Crosman is a reputable brand that consistently tests its products, and the pellets work amazingly well because of their high amount of down range energy. 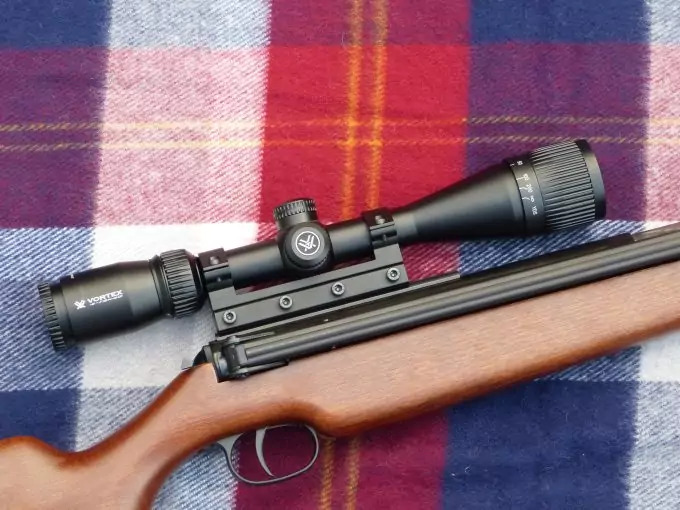 After reading all these reviews, you might set your eyes on a scope that has a cross-hair reticle and a smaller magnification range for close range shooting like the Winchester by Daisy AO Winchester Scope. This scope isn’t the most proficient out there, but it performs well enough. On the other hand, other scopes like the UTG Scope can be used on a wider array of distances, at nighttime as well as during the day. You can choose between better coated scopes like the CVLIFE Tactical scope or simply coated scopes. 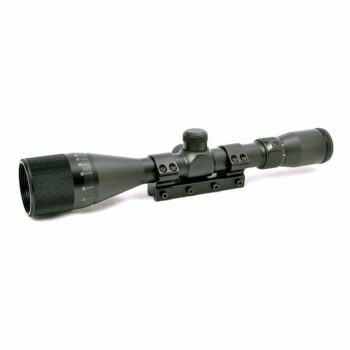 You can get finger adjustable or click adjustable windage and elevation, depending on how you like the feel of a scope. In the end, the choice is absolutely yours. So tell us which scope you’re getting and why. The comments are right below.